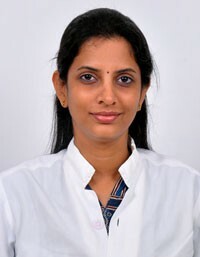 Dr. Krithika Datta is a Consultant Conservative Dentistry & Endodontist at Rajan Dental Hospital with a decade of experience. She has received various awards for her academics and many of her papers have been published in International & National Scientific papers. Best Outgoing Dental Graduate at Saveetha Dental College Dec. 2002. Obtained the 3rd rank in the Tamilnadu Dr. M.G.R. Medical University in B.D.S.in the year 2002. Dental Ceramics – Changing smiles across miles! Presented At: I National student symposium on Ceramics, Anna University, Chennai, September 2005. Indian Dental Conference Feb. 2010, Chennai. Clinical Effectiveness of contemporary Dentin bonding agents. Presented at International Society for Dental Research (ISDR) national conference, held at Chettinad Health City, Chennai January 2011. Metals in Restorative dentistry – Antique or Alchemy.